Whether you need items for showing appreciation, gifts for customers and clients, awards for employees recognizing their hard work or increasing your sales to clients and prospects, Megatron Print will find the right products for the right project. Promotional products are "guaranteed response vehicles" when the right product is picked for the right target. These response vehicles continually broadcast your name or image long after your visit has ended. 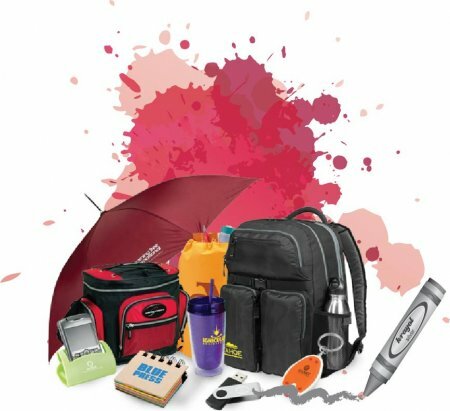 Megatron Print is your one-stop source for thousands of high-quality promo products ready for your company imprint. Order popular standards like t-shirts, caps, mugs and calendars plus office gifts like pens, pencils and business card holders. From stadium blankets, lunch coolers, stress recognition plaques, trophies and even pet toys, you’ll find just the thing to make a statement. Did you know over 75% of all promotional dollars spent are for time pieces? They never go out of style! Just contact us with your art work or we will create it for you.